But, let’s admit it! We not only want to have eyes that are healthy and safe from debris; we want them beautiful! Why else would some women refuse to go out without eye make up and coats of mascara to make eyelashes appear thicker and longer. Some even put up with the high costs and hassles of getting eyelash extensions just to achieve a more dramatic look. There’s no doubt that thick, long lashes make the eyes look more beautiful. Unfortunately, not all of us are born with them. 1. Eat food that have high amounts of Vitamin C and biotin. Did you know that eyelashes are 91% protein? 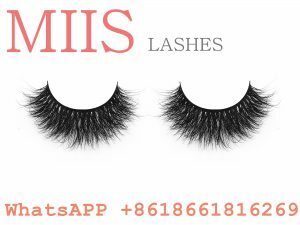 If you include food rich in protein, most especially biotin (a protein that is essential in cell growth), in your diet, you will definitely notice longer and lush eyelashes. Vitamin C, on the other hand, is a powerful immune-booster which helps promote circulation and form collagen. It is collagen that provides strength and structure for our hair, eyelashes included. Citrus fruits and berries contain high amounts of Vitamin C, while soybeans, milk and poultry, and cooked egg yolks have high levels of biotin. 2. Apply an eyelash solution before bedtime. Stress, exposure to harmful UV rays, and excessive use of mascara (especially waterproof ones) among many others contribute to the dullness and even loss of lashes. Eyelash treatments contain ingredients like Hyalunoric Acid and Vitamin A that promote the growth of eyelashes as well as improve those that look dull and brittle. These eyelash treatments work best when you’re asleep as it is known that cells regenerate better and faster at night. Simply apply an eyelash treatment (much like you would eyeliner) before going to bed each night, and you will notice longer and thicker eyelashes in just a few weeks. 3. Be gentle and clean. You may not realize it but you may be your own eyelashes’ enemy. Wearing cheap or expired mascara, going to bed without removing them, and rubbing or tugging at your eyelids are common causes of eyelash loss. Invest in a good quality mascara and make sure to use a gentle remover instead of tugging at your eyelids. Integrating these hassle-free habits to your daily beauty regimen will guarantee you the thick and long eyelashes you’ve always longed to have.